This project is one of a number of projects implemented in Yemen by the Social Fund for Development-Yemen, (SFD) is an institution which is independent financially and administratively, The Fund is supervised by the Board of Directors chaired by the Prime Minister and Council members include representatives from government, private sector and civil society institutions. The Council shall identify and adopt policies and general plans of the Fund, and monitors the achievement of objectives and overall performance of the Fund. Cultural heritage in particular is the area located in the scope of the Fund of all aspects of cultural development, there is consensus that Yemen has a rich cultural heritage and distinctive and threatened, is particularly in the field of architecture, urban, and in the diversity and richness of archaeological and historical landmarks, and the presence of a large number of components of the cultural heritage tangible and intangible. 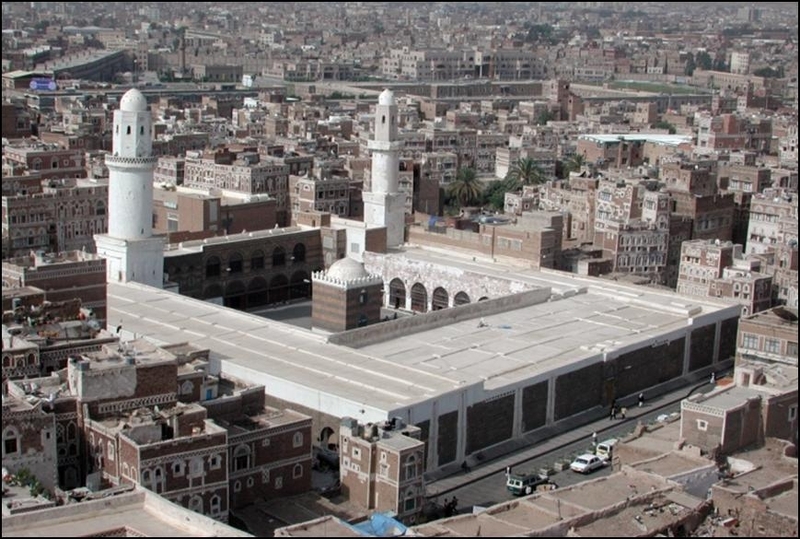 The Great Mosque of Sana'a was built in the era of the Prophet Mohammed binAbdullah in the sixth year of migration, it is one of the oldest Islamic mosques. The mosque was widened by the Umayyad Caliph Walid bin Abdul Malik and governors after him. 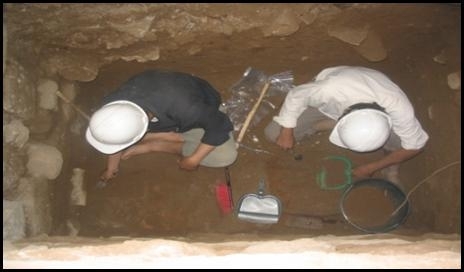 Archeologists have found in 2006 under the supervision of archaeologist French Dr. Mary Lynn traces of vaults and old building which are still under study,also several years ago an amazing and important archeological discovery has been discovered during the removal of plaster from the walls where they discovered twelve old copies of the Koran one is believed to be written by Imam Ali, as well as they discovered four thousands of a rare Arabic manuscript of the beginning of Islam and correspondence from the Umayyad ,These treasures are reserved in the mosque's library . There is appropriate evidence that this mosque was built on the ruins of the famous Sheba's Palace of Ghamdan in Sana'a. The great Mosque in Sana'a has an exceptional value in addition to its religious, historical values, and this stems from the fact that it retains many of its original elements through centuries, this gives it an archaeological and architectural importance not only at the national, Arab and Islamic, but also on the human level in general, Many historians and archaeologists rely on this historical monument to uncover historical facts which will add without a doubt new information and data that might be crucial in increasing the importance and and historical value of the mosque on both Islamic and human levels, this requires extreme caution in any future interventions with the mosque and its facilities, whether for repair, maintenance or improvement to ensure no waste of its historic or architectural or aesthetic values . it is fundamental the goal of any work is to preserve the monument and its original characteristics and to regain its ancient glory to the level it deserves as one of the oldest Islamic buildings in the world, keeping in mind that in any way conservators should not fall under the pressure of the time factor and the justification of urgency in implementation of the improvement or expansion regarding the above considerations and because it represents a symbol of spiritual, historical, archaeological and art not to Yemen but also to the world heritage of humanity. Over the years the Great Mosque Suffered a lot of damages for several reasons, it exposed to some natural disasters such as floods and heavy rain in addition to some vandalism and destruction caused by wars and political conflicts that have occurred to the city of Sanaa, during its long history , not forgetting the damage caused by groundwater by disturbance of the soil layers around and under the foundations of the mosque, as well as the damage caused by the presence of distorted and dilapidated buildings in the vicinity of the mosque. The intervention in the project by SFD started in 2003 with phase (1), now it is still under implementation in phase (3). Implementing a comprehensive architectural documentation process of the mosque and its surroundings in order to document the current situation and identify the problems and damage suffered by the mosque, as well as the dangers threatening it. 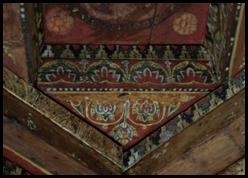 As part of this activity implementation of comprehensive documentation of decorations and carvings of wood and plaster and the wall where they exist ,using scientific and systematic ways according to program in line with the stages of maintenance of ceilings timber, to take advantage of the evacuation of the work area and stop the daily activities for attendees of the mosque. 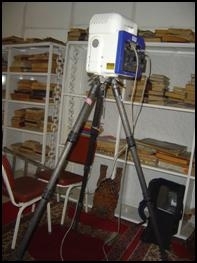 It is worth mentioning that the implementation of the documentation of the mosque was done by the latest technologies in this field known as photogrammetry ,which is a very accurate modern technique using the laser producing three-dimensional graphics and photographs, used as Engineering schemes. searching and collecting all possible information, studies, photographs, reports, research and plans and any form of data or information, to know what has been written about the mosque, and all the processes of maintenance , repair , renovate or expand done to the mosque over the years. 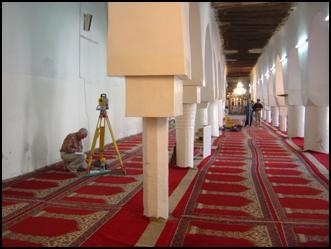 this process will continue throughout the period of intervention, aims to create an archive and database of the Great Mosque to help specialists and field working teams taking advantage of what was scientifically evaluated in order not to repeat any errors, in the same time avoiding the execution of work affecting the value of the building either architectural, archaeological, artistic or historic. For this purpose also implementing many sensors and construction and archaeological boring tests in the site in order to verify the construction situation of the mosque's foundations and on the other hand to study the layers of soil inside and outside the perimeter of the mosque to find out any information of historical or archaeological information that can contribute to give a more accurate picture of the history of the mosque and describes the historical stages passed through. Installation of sensors and sampling of the cladding layers of plaster from various interior walls in order to determine the quality of texture, which will decide the proportions and materials used according to the results of laboratory analysis. 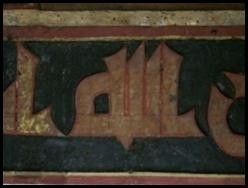 It is worth mentioning that, through the work of detection for the extraction of the layers the original walls of the mosque and on the north and south walls a large quantity of parchment Quranic antique dating back to the early period of the quran were found, those were written in Kofi script and other lines of early and non- doted letters this considered as a treasure of knowledge about the holy Quran and an unusual and rare scientific discovery. What distinguishes the great Mosque of Sana'a is the decorative wooden roofs, the best are those in the eastern porch, which is almost one of the rarest and the most important Islamic woodworking in the world. 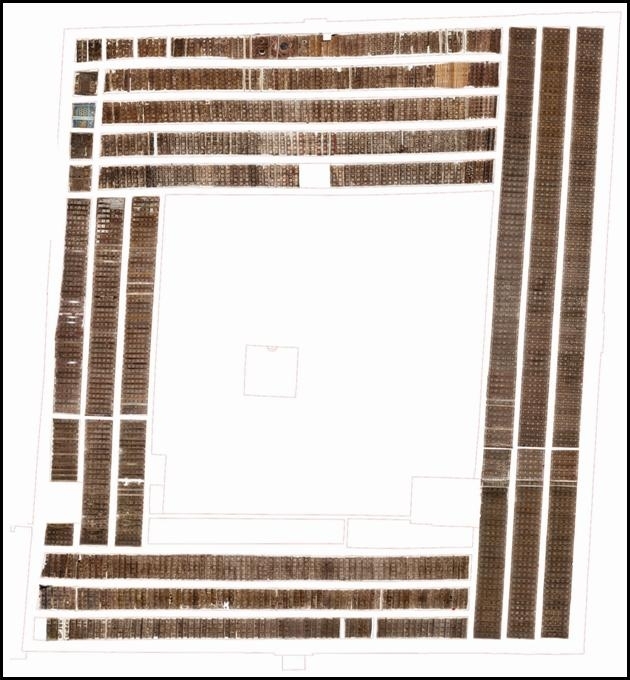 The total area of the flat wooden roofs is 2517 m 2 of the total area of the mosque which is 4282 m 2 .for the purpose of conservation of the wooden roofs without hinder the daily activities , the stages of implementation were divided into five phases in addition to the pilot phase and according to original plan of work. Because the electrical installations are too old now it’s in critical and unsafe condition .the first job was to reinstall and correct the existing one to perform the functions required .another thing was to provide the building with fire extinguishers in case of any emergency that may threaten the site ,and soon will begin the implementation and establishment of a complete modern electrical network , also it is planned to install an independent radio broadcasting and an electronic security control system and a fire-fighting system to protect the mosque and its facilities from any threatening dangers in the future. In order to neutralize the growing damages due to moisture on the walls of the mosque in particular the Western walls where the recent toilets and ablution places are , the walls suffer heavy damages that must be stopped. this will be solved by finding a replacement first, i.e. build a new toilets and ablution places taking into account in of health and service aspects in addition to that building an underground tank and open reservoir in the mosque garden to save and use the ablution water to irrigate crops in the garden. 1.Paving the open area of the mosque. 2.Restoration and maintenance of the two minarets of the mosque providing the necessary structural reinforcement. 3.Treatment the Qdad (the traditional old plaster ) of the roof surface of the mosque. 4.Removal of new construction distorting the original architectural tissue of the site. 5.Restoration of the Mosque’s library. 6.Dismantling and removal of the new additional buildings in the west side of the mosque such as toilets and concrete tank. 7.Preparation of a complete study, planning and design of the Western side of the mosque and the area around to provide of stores and yards . 8.Rehabilitation of water supply and sewerage system around the mosque. 9.Adopting different activities to increase awareness about the project.